The Bulldogs are going dancing after winning the Big South. Isaiah Canaan had 14 points, 3 assists and 2 rebounds as he led the Racers to a Ohio Valley Championship. 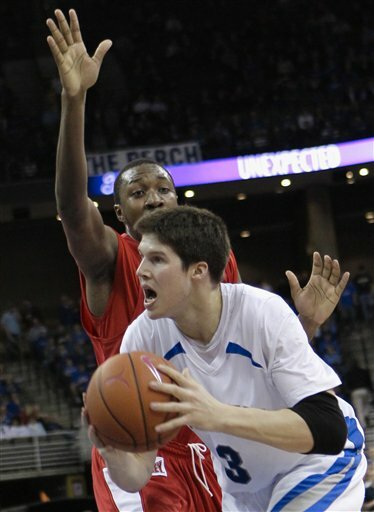 Doug McDermott had 33 points and 6 rebounds in an overtime win over Illinois State. 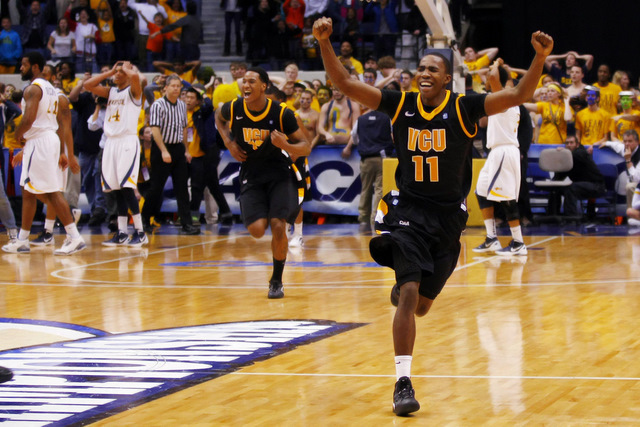 VCU will head back to the NCAA tournament after beating Drexel. The Greyhounds of Loyola Maryland defeated Fairfield to win the MAAC. JP Kuhlman had 19 points, 8 rebounds and 5 assists in an overtime win over Western Carolina. Matthew Dellavedova had 22 points, 4 assists and 3 rebounds in an overtime win over Gonzaga. This entry was posted in NCAA Basketball and tagged Atlantic Sun, Belmont, Big South, champions, Colonial, Creighton, Davidson, Loyola Maryland, Metro Atlantic, Missouri Valley, Murray State, NCAA tournament, Ohio Valley, Saint Mary's, Southern, UNC Asheville, Virginia Commonwealth, West Coast. Bookmark the permalink.